The Alaska seafood industry is the largest private employer in the state. The industry processes 5 billion pounds of fish and shellfish annually, more than 55 percent of the total US catch. 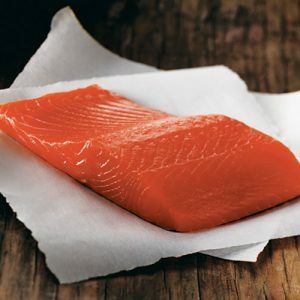 Over 300 large and small firms produce cod fillets, surimi, halibut steaks, and fillet, freeze, can or smoke salmon. Some are multimillion-dollar operations using state-of-the-art filleting and freezing equipment. Others are mom-and-pop operations producing high-quality specialty products for niche markets. All seafood processors face the challenges of competing in a rapidly changing global food industry. In support of Alaska’s seafood processing businesses, Alaska Sea Grant offers classes and workshops on seafood safety, quality control, product development, business and marketing operations, leadership training, and other topics. We also respond to ad hoc requests from companies for training on topics such as HACCP, environmental compliance, wastewater compliance, and microbiology testing. For more information, please contact Chris Sannito, Seafood Technology Specialist. Click or tap a course title to see details. ASPLI is an intensive professional development program designed for mid-level managers, production foremen, plant supervisors, quality assurance leaders, and small processors who want to advance their careers in seafood processing. The program consists of hands-on technical training, an in-house project on plant operations, and leadership training. Session 1 Kodiak: November 11–15, 2019. Hands-on technical training in seafood processing and visits with local processors. Session 2 Anchorage: March 2–6, 2020. Leadership training, human resource development, business management, and marketing. be employed in Alaska, although the processor you work for is not required to be based in Alaska. identify a mentor who can provide professional guidance throughout the Institute and help with an individual project. The mentor can be a supervisor or other employee in your seafood processing plant, or someone from a regional nonprofit organization. provide the name of a financial sponsor who will support the required contribution. Alaska seafood processors have a strong record of providing the nation and the world with safe, wholesome seafood. A federal regulation took effect in 1997 to help assure the public that the seafood they purchase in stores or eat in restaurants is as safe as possible. This method of assuring seafood safety requires monitoring of all seafood processing operations using a program called hazard analysis and critical control point (HACCP). HACCP is mandatory for all processors in Alaska, even those who sell their product only in-state. MAP offers HACCP training throughout the year. Additional courses will be given when needed. If you would like a course given in your community or at your processing plant, please call the MAP Office at (907) 274-9691 or email us with your request. Cost: $230. Available to those who take the Seafood HACCP Online Training Course. Participants taking the online course come to the final day of HACCP in person. Those who complete both the online course and an in-person Segment 2 course will receive a Certificate of Course Completion from the Association of Food and Drug Officials to demonstrate they meet the training requirement of the FDA Seafood HACCP regulation. Cost: $100. Classroom lectures and hands-on activities in the Kodiak Seafood and Marine Science Center pilot plant and laboratory help build the expertise required by seafood quality control professionals. This program is designed to broaden skills and overall knowledge in the areas of seafood safety, regulatory requirements, sanitation, sensory analysis and other topics. Better Process Control School teaches principles of thermal processing, equipment requirements, closure evaluation and recordkeeping for glass jars and cans. The course satisfies FDA requirements. Attendees will receive a certificate on successful completion. Cost: $375. 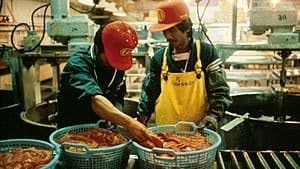 Seafood processors are required to monitor sanitary control procedures used during processing to show their conformance with good sanitary conditions and practices. The Sanitation Control Procedures course is intended to assist the seafood industry in developing and implementing sanitation control procedures as mandated by the U.S. Food and Drug Administration (FDA). Cost: $55. The workshop is for anyone interested in smoking and processing fish, including home fish-smoking enthusiasts, small smokehouse operators, fishermen interested in direct marketing their fish, and commercial operators. Maximum workshop capacity is 15 participants, and minimum number of participants is 10. Workshop organizers feel it is important that each participant has the opportunity to actively participate in every hands-on activity in the KSMSC pilot plant. Participants must wear closed-toe shoes (preferably waterproof) at the pilot plant. Aprons, gloves and hairnets will be provided. Instructors: Chris Sannito and Brian Himelbloom. A representative from Enviropak will also be on site to demonstrate oven technology and other procedures. National Pollutant Discharge Elimination System (NPDES) wastewater compliance for Alaska seafood processors. Covers the background and basics of setting up an in-plant seafood microbial screening laboratory using 3M Food Microbiology products. Participants learn basics of bacteria enumeration and identification. Provides hands-on learning opportunities. Find out why the seafood industry is important to the Alaska economy. Who sells or buys fish and what regulations apply? Why does seafood spoil? What is the nutritional profile of fish and shellfish? What happens to the fish parts resulting from processing? How safe is the seafood we consume? Answers to these and other perplexing questions can be found by enrolling in Fish 261. This course includes the practical application of business planning. Financing, accounting, permitting, feasibility analysis, marketing, human resource management, and operational aspects of seafood harvesting and processing will be introduced, using case studies and guest lecturers from the seafood industry. The prerequisite for this class is FISH 261 (see above) or instructor permission. * FISH courses are offered through the Fisheries Division of the UAF College of Fisheries and Ocean Sciences.